In the retail pharmacy business, mastering the supply chain and leveraging buying power has been key in the growth of the pharmacy business within corporations like Walmart and Amazon. These large retailers focused on aligning the global supply chain to reduce their component and labor costs, managed inventory, increased their transportation efficiency, and mandated processes throughout their entire vendor networks to continually push the bar. One of the major innovations both of these giants have implemented is use of Radio Frequency Identification (RFID) systems resulting in increased supplier communications, assisting in meeting ever-growing compliance standards, and evolving the way in which data is collected, managed and utilized. With Amazon’s recent purchase of a mail order pharmacy company PillPack, along with Amazon’s dedication to the use of RFID technology, the pharmaceutical industry is seeing an evolving standard in global pharmaceutical drug delivery, logistics and traceability. Adoption of RFID has progressed in the Pharmaceutical industry over the past 10 years with more companies successfully testing RFID use to trace drug supply and aid in defeating counterfeiting of drugs. A study by Cardinal Health indicates “78 percent are manually counting inventory in some parts of their supply chain and only 17 percent have implemented an automated technology system to track products and inventory in real time.” Distributors, such as Cardinal Health and Medline, have adopted RFID into their systems and Amazon has committed to same day delivery for prescriptions. Further prompting the use of RFID, The Drug Supply Chain Security Act passed in 2013 has a targeted enforcement of 2023 (Medical Device mandate is already in place). The FDA, customers, manufacturers are working towards full compliance with the Act. If a company sells pharmaceuticals, the company will need to be RFID ready. The Food and Drug Administration tested the use of RFID for many years before identifying RFID as a tracking solution for the pharmaceutical industry. With the advent of the regulations, the industry will awaken to the benefits of real-time traceability and real-time inventory tracking management As regulatory agencies across the globe continue to increase compliance requirements, customer demands will grow driving innovation for RFID. Radio Frequency Identification, or RFID, is a method of communication that helps relay information via unique magnetic signatures that are “programmed” to the ID tags. The RFID’s unique magnetic field can currently be detected by “readers” at up to 30ft, with incredible accuracy and speed. The reader can read thousands of tags in at any given time, allowing users to gain immediate insight into current inventories, products in transfer, and endless metrics based on the creativity of the user and RFID vendor. Pharmaceutical distributors and manufacturers maintain thousands of SKUs to manage, ranging from drugs, supplies, medical devices and equipment. Depending on the production strategy, the supply chain can span across multiple markets globally with the potential for compliance, safety, health and logistical challenges. 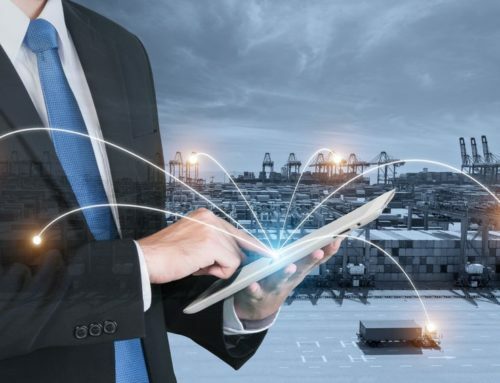 The supply chain logistics required to meet the customer needs are met with planning and to efficiently meet the regulatory and customer demands. Compliance varies country by country in international markets, with some being highly stringent and some rather loose. For pharmaceutical companies, compliance issues can be a ‘thorn in the side’ so, solutions like RFID cross many organizational silos solving problems equating to the moniker of “killing multiple birds with a single stone.” For organizational purposes, this paper attempts to portray how RFID can be helpful in a variety of ways that meets logistical, supply chain security and patient safety in healthcare and pharmaceuticals. Assurance of drug quality is a must in ensuring the products are not tampered with or compromised prior to reaching the patient. According to the World Health Organization, in 2012 counterfeit versions of the cancer drug Avastin were found in 19 American treatment centers, lacking the active ingredient which rendered it useless. In the same report, Viagra and Cialis counterfeits were found in the U.K. which contained ingredients that posed serious health concerns. Some counterfeits have serious sickness and have even caused deaths. As mentioned above, the U.S. Food and Drug Administration (“FDA”) tested RFID and with the private sector established a RFID management program to trace the supply chain pursuant to the Drug Supply Chain Security Act. RFID offers a unique capability of tracking drugs from the manufacturer to the final delivery point, providing data metric points that can confirm no drug tampering as well as other metrics that will help ensure patient health and safety. When the drugs are produced and packaged, RFID tags can be placed in or on the bottles, vials, inside boxes and embedded with a unique code. The unique code can be related with a variety of naming criteria based on differing regulatory agencies, but ultimately it is unique to the individual package. The unique code is entered in the company database and can be aligned with other unique data, such as the production date, weight, or the products unique markings at the time of production (such as color, shape or markings). All of these data points can be tracked throughout the shipment process and can be checked against the database’s original data to ensure authenticity of the product shipped. The origin data is also important for ensuring product loss does not occur during the shipment process. The RFID tag contains data that provides assurance that the package is still ‘sealed’ upon arrival. The manufacturer identification, batch number, date of manufacture, manufacture location, medicine type and so forth can be written to the tag at the original manufacturer and then read and automatically into the system and confirmed at each point in the supply chain. Additional fields can be stored in the RFID tag such as weight and quantity as useful information to the customer. Thus, RFID tag data is not limited to confirming the accuracy and legitimacy of the shipment but provides other benefits within the supply chain. RFID also helps minimize mistakes that may occur during the shipment and receiving process. When the packages are loaded onto trucks, or pass through major check points, the contents will be automatically logged against a shipment manifest to ensure the package is going to the correct location via the correct vehicle. For instance, if the package is loaded onto an incorrect truck, the RFID reader will log the package location and determine that it is not in the right location. The system can be written to flag the mistake to the loading crews and notify them to reload the product on the correct truck or container. Additionally, the truck or container’s loads can be checked against the manifest to ensure the full shipment is loaded and ready to go. Once the products are in storage or at the destination point, if they are stored within the area covered by antennas and RFID readers, the inventory will be continually monitored in real-time. RFID readers can read thousands of tags instantly and the inventories can be checked against the database to ensure all items are accounted for. If items end up missing, an alert can be sent to the designated person to flag to locate, or to note where the last known location was, in case it exits a specific location that is being monitored via security cameras. A time stamp is noted when and where the item was last seen and can help solve any question regarding location. Fifty-eight percent of frontline caregivers acknowledge that inventory management is key to fostering patient safety. RFID offers substantial benefits to the pharmaceutical industry for increasing patient safety by complying with regulations, managing expired items and recalls and tracing the supply chain. Gathering data is key in managing a system that offers transparency into your supply chain, but also in how you track multiple data points that drives decision making. 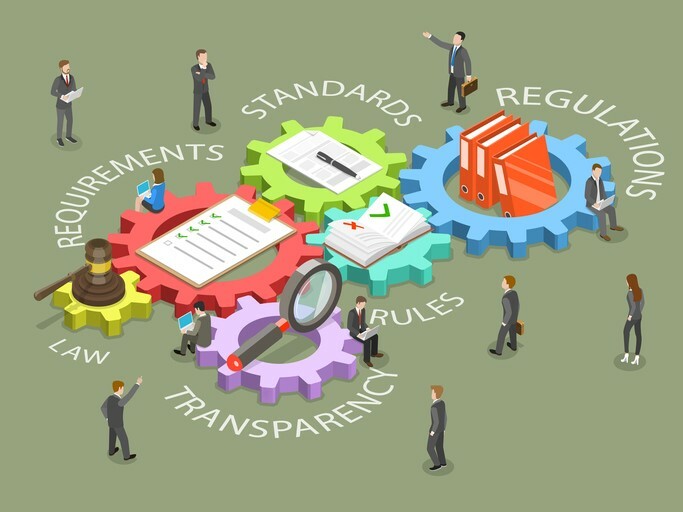 When dealing with regulatory compliance issues, collecting key data allows you to analyze and strategize to make decisions when dealing with issues such as counterfeits and the lifecycle of the pharmaceutical products. The more reliable your data, the more effective your decisions will be. While the security of the supply chain is important, the effective management of recalls is another area of focus. Voluntary and involuntary recalls create panic in the market place and force clinicians to utilize non-formulary products. Recalls can create possible patient safety concerns and decrease in efficiency. Incorporation of RFID allows companies to effectively manage a recall. If, for whatever reason, a drug or other product is recalled the RFID tags can help you locate and recover the drug locations. The recall can be completed quickly, and patients can be notified quickly based on associated data to the purchase. Additionally, if the drugs are being recalled due to a manufacturing mishap, the affected drugs can be individually identified based on a production timestamp that is associated with the drug package at the time of production. Thus, as opposed to recalling all of the drugs that are in circulation, the drugs can be located and retrieved based on their actual production time stamp. This ability alone can save millions of dollars in lost product and negative press. With expired or expiring products, RFID can automatically notify key personnel to use the goods first, or to ensure the products are not circulated. 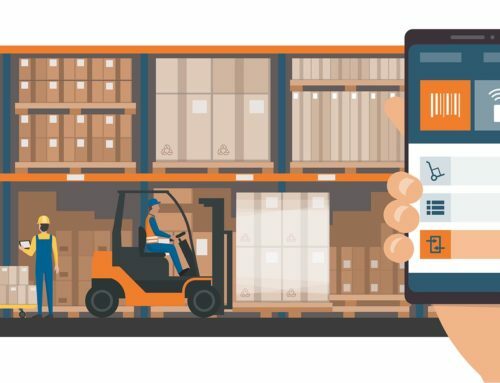 If the goods are expired, tracking the product via RFID can help ensure the products are pulled from the shelves and disposed of based on regulatory requirements or manufacturer specifications. The disposal can be recorded and reportable based on the logging by the RFID system. Finally, RFID can play a big role in patient safety in the OR. Surgical sponges implanted with RFID tags are widely used in the OR and reduces human error for counting. Manually counting these sponges over the years has led to many situations where they have been left in the patient, only to cause further issues. Some companies are using these for temperature sensitive products to ensure safe and prompt delivery. The opportunities that RFID offers healthcare facilities is substantial from operations to inventory management to billing to patient safety. In a facility that is tracking hundreds to thousands of people, equipment, and pharmaceutical products. RFID offers opportunity that is only limited by the creativity of management in how automation and data management are prioritized. Charting and manual inventory management consume major man hours for healthcare facilities. Physicians and nurses currently spend, on average, nearly 20 percent of their workweek on supply chain and inventory management. Spending more time on patient care is a goal of most clinicians. With RFID, the inventory can be taken in real-time and within minutes, allowing managers to know the status of their current inventory. For example, the implementation of RFID at Adventist Health White Memorial saw a 67 percent decrease in staff time dedicated to manually counting supplies, and an 84 percent improvement in time spent placing orders. Almost every hospital experiences product waste. Many long term care facilities and hospitals have found themselves discarding unused and expired medications. The EPA has reported in the past that upwards of 250 million pounds of expired and unused pharmaceuticals and healthcare products get discarded each year. From a 20k Biologic grafts to a vile of insulin, hospitals have found themselves eating the cost for expired product. RFID offers the capability to alert you prior to the product expiration to help in managing expensive product waste. It also can align decision makers to prioritize expiring goods to be used first, in order to minimize the potential of waste. RFID can also aid in identifying ordering patterns to better adjust for inventory ordering frequencies. Allowing a supply chain or a pharmacy to have location, expiration date, and clinical data helps meet the safety guidelines of the hospitals and FDA. Adventist Health White Memorial saved $42,000 in three months by implementing RFID and smart cabinets to optimize hospital supply chain management. As an additional benefit, RFID can also help in more accurate billing. From surgical sponge counts to medications, the need for documentation and charting creates more work for most healthcare professionals, but utilizing software combined with scanning devices allow products to be immediately integrated into the patients electronic charting and helps fulfill ICD requirements and documentation used for electronic billing. Use of RFID will allow the clinician to track the products by scanning to accurately chart and bill for patient services, saving time from having to input information on patient charts. Using RFID in conjunction with the facilities electronic medical records can ensure precise reporting and greater billing accuracy. RFID is in the process of revolutionizing the efficiencies in the pharmaceutical industry, from manufacturer all the way to providers. With RFID, the potential for reducing compliance burdens while having more effective resource management provides a compelling case to increase the adoption of the technology throughout the entire pharmaceutical and healthcare industries. The RFID industry continues to innovate with new developments that will lead to efficiencies, profitability, and minimizing risk for customers.